Sour straws with a great outrageous cherry flavor. It is tasty and delicious. 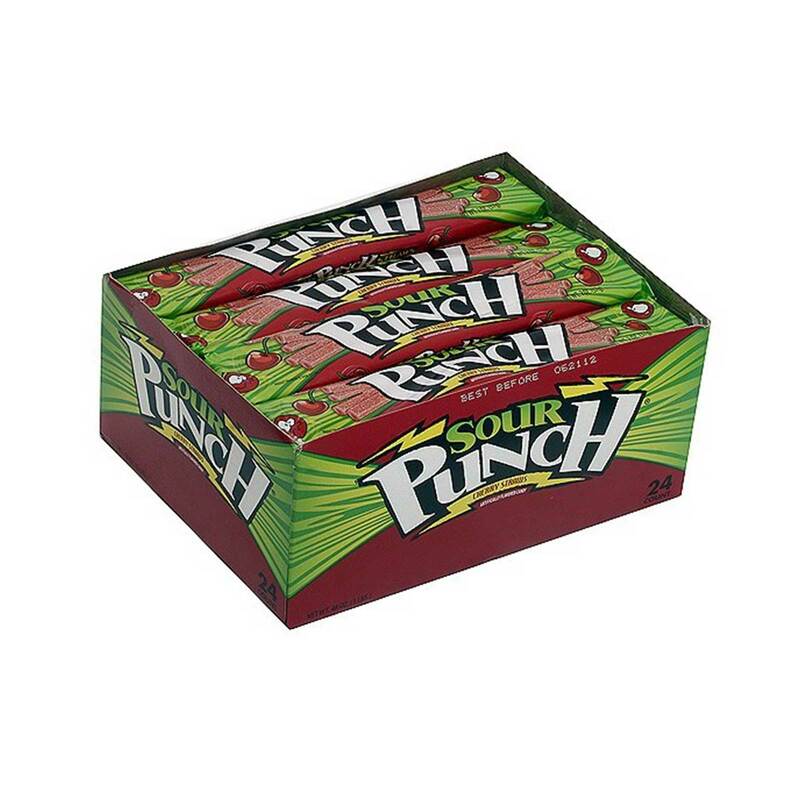 Order Sour Punch cherry in bulk at wholesale price from Volt Candy Online. the only type of candy that always remind me about the good old days of childhood. Our classic tray packaging contains 2 ounces of Pineapple Mango Chili flavored Sour Punch Straws, the perfect serving size to satisfy a sweet & sour craving! These sour candy straws pack a power punch! Sweet & sour pineapple and mango flavor, with just the right amount of chili heat, coated in our signature sugar blend. Grab a pack of these soft and chewy straws for a quick snack at the office, after school, or while binge-watching your favorite show. Treat yourself any time with these low fat, low sodium, kosher certified candies. E.FRUTTI MINI BURGERS 60CT Gummi Burgers Mini from E. Frutti, delightfully detailed burgers made of soft and chewy gummi candy.